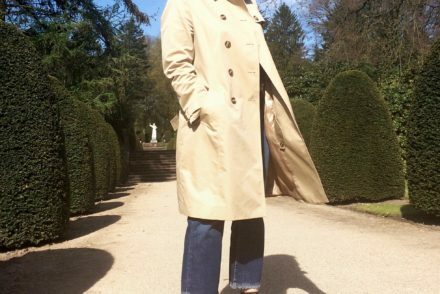 The Trench coat is a non-negotiable wardrobe stable, re-interpreted and worn a million times, I’m sure you have one in your cupboard, too. Rebel and I are no different, we love wearing our trench coats every season, they never look dated. 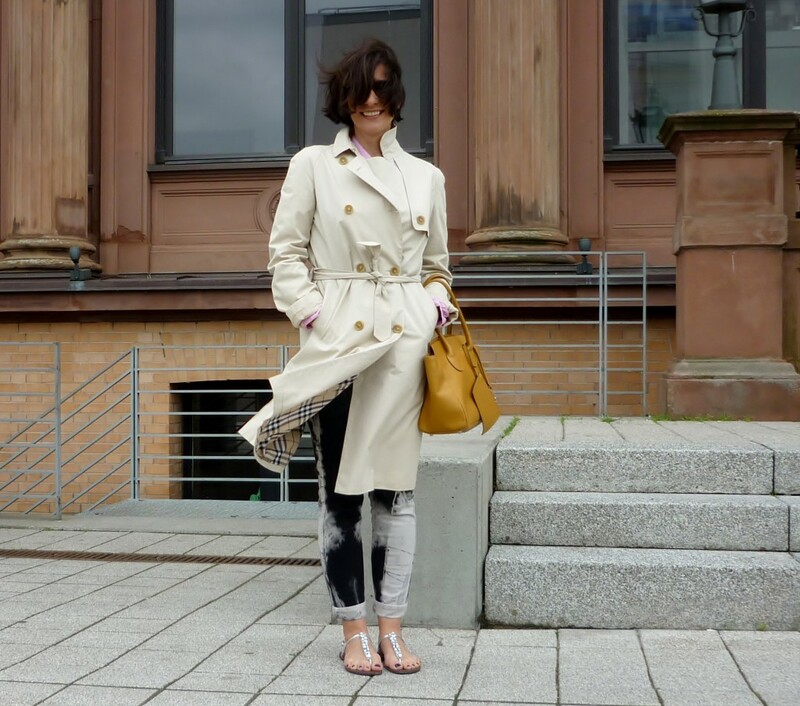 Rebel: My trench coat is the classic Burberry trench which I bought in London back in 1998! Yes, it’s 14 years old, as good as new and it proves the theory: Buy staples in good quality. If you look after them, they’ll serve you many, many years. For me, the trench is totally fashion forward. From business to casual, from spring to fall, from Hamburg to Sydney – the trench is perfect for any time of the year. I prefer wearing my trench with skinny jeans on the weekend for a sleek, timeless look. Romantique: I think everyone should own two trench coats so you don’t wear one out too much. Maybe have a classic one and a trendy one. Or a light coloured one and a black / navy or khaki trench coat. 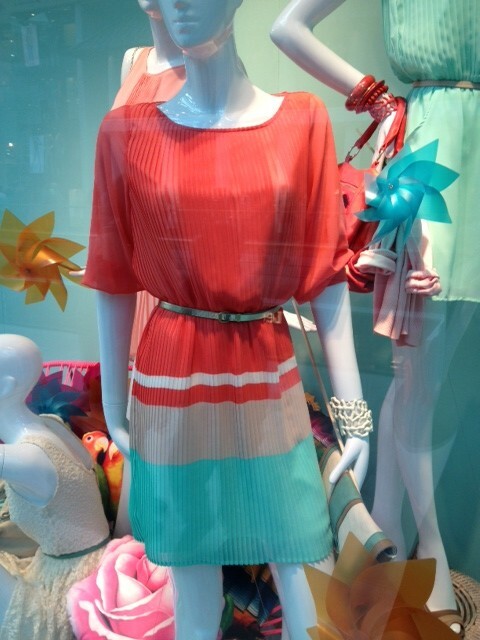 Like my whole wardrobe, I like the classic cuts with a girly twist. My timeless trench coat gets it girly factor from the playful pleats at the bottom. If you’re like me, look for coats with clean lines and girly details like flounces and ruffles at the hem / sleeves or pleats. 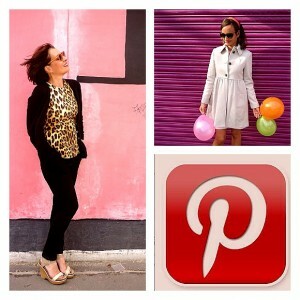 REBEL is wearing: Burberry trench coat, batik skinny jeans, powder pink blouse and rhinestone sandals by Steve Madden. ROMANTIQUE is wearing: Navy trench coat from Max & Co SS2014. 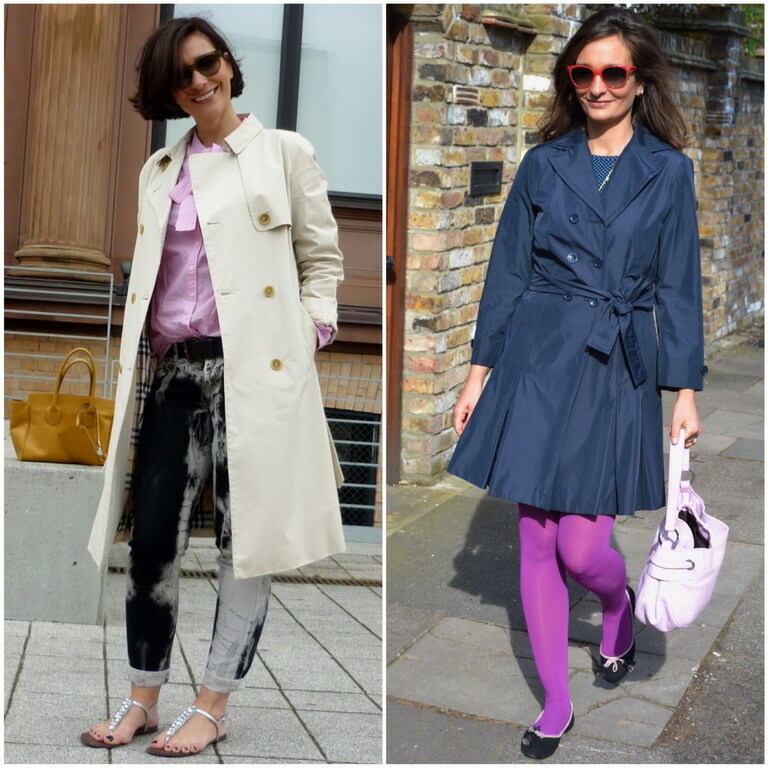 Soft pink bag from Bally, ballet pumps from Rouge bunny Rouge and purple tights from Falke.